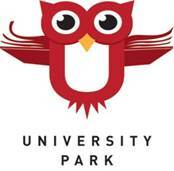 Families will be notified via the UPark App. Drop-off still begins at 8:40am. Students can go to the gym or to breakfast. Kiss and go will operate as normal. Students enter through doors 1, 9, and 15. Please welcome Becky Limanni who has volunteered to be PTA Grounds chairperson! On Sunday Oct 14th from noon to 2pm, she is looking for volunteers to help with playground weeding, trimming and general clean up. If you are available to attend please contact her at b.limanni@comcast.net. The Annual UPark Costume Exchange is tomorrow Friday, October 12th on the school blacktop. Costumes can be donated up to the date of the event. Please drop off costumes in the main office. You do not need to donate a costume to participate in the exchange! Get your registration in NOW for the 13th Annual UPark One Mile Fun Run and Carnival ! This event is open to the community, so please invite relatives and neighbors. Registration is ONLINE! Click HERE to register and pay. We need volunteers for the carnival and at the grill for lunch! CLICK HERE to help. Look at these close numbers. Which grade is going to be an Apple All-Star and celebrate with a party?! This current Apple Campaign Promotion is running through November 9th. All you have to do is donate to help your grade get closer to winning a party. This campaign needs to raise $70,000 which adds to the $125,000 grant the PTA gives UPark Elementary EACH YEAR to offset the cost of 3+ teachers. We love small class sizes and happy teachers. This money is tax deductible, anonymous and you can do as much or as little as you choose (stock transfers and corporate matching also accepted). We don't ask you to sell anything or buy anything. It's super easy - just click here to donate now. AUCTION MEETING CANCELLED AND NEW MEETING LOCATION FOR NOVEMBER! The October UPark Auction Meeting scheduled for this Thursday at 7pm is cancelled.